Time is running out to make your 2013 tax-deductible gift to Special Olympics Louisiana. And with less than 48 hours to go, the stakes just got higher. We’ve written you about the exciting challenge issued by our partner Finish Line – through midnight tomorrow, they will match your donation, dollar for dollar, up to a campaign total of $250,000. Every dollar we raise matters. Additional support means more trainings and competitions, more joy and confidence, and more athletes in the swimming lanes, on the soccer fields, and on the running tracks. Please help us stretch a little further to meet this challenge head on. Our partner Finish Line continues to help Special Olympics athletes train year round and stay fit for life. The Finish Line Youth Foundation will donate to Special Olympics up to $1 million collected from customers in over 640 Finish Line stores from November 1 – December 31. 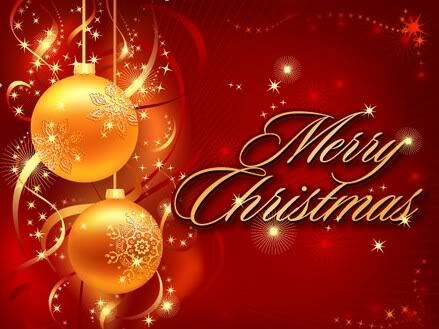 From all of our athletes, coaches, volunteers, and staff, we want to wish each of you a very Merry Christmas!! Being that it is Christmas Eve, we wanted to share an E-Card we received from Special Olympics. We hope you enjoy! Without our Sponsors support our program would not be possible. Our sponsors provide financial stability for our organization and we encourage you to learn about each of them by clicking on their name. If you would like to become a sponsor, click here. LA Wildlife Agents Assoc. Smitty Supply, Inc.
IREM Louisiana Chapter 55 Fred B & Ruth B Zigler Foundation Best Buy, Inc.
Every day athletes are beating their personal bests, shattering stereotypes, defying low expectations, and building confidence and skills to succeed in sports and in life. With your help, they’ll leave the sidelines. They’ll be champions. They’ll show people near and far what they’re capable of. They’ll open hearts and minds. Give today and double the impact of your donation. Your $1 will be matched and turned into $2! Polar Plunge is right around the corner! Special Olympics Louisiana will host three (3) Polar Plunges in 2014. February 8th (Shreveport), February 15th (Lake Charles) and February 22nd (Gonzales). This is a great way for you to join with your friends or co-workers and raise money for Special Olympics Louisiana! Do you own a business or work for a business that would like to sponsor one of these Polar Plunges? Then contact us at 1-800-345-6644 or send us an email!unge, you can volunteer!